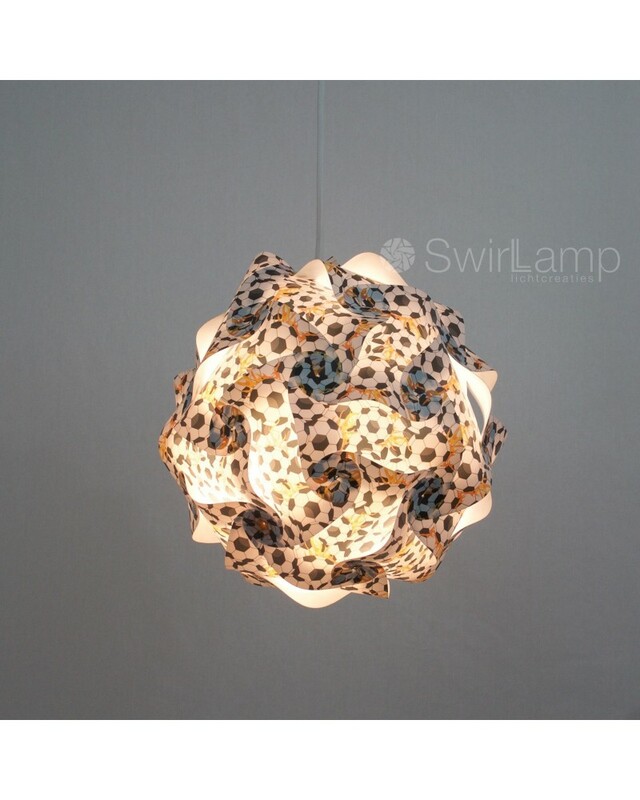 The Swirlamp Soccer lampshade is a lot of fun when used to decorate the tv room during a football event such as the word cup tournament. For the Dutch fans, you can combine it with the red-white-and-blue swirlamp and of course the orange one. But of course this lampshade would be awesome to light the room of any (young) football fan (male or female). The printed swirlamp is a with a 30 cm diameter, smaller than the lampshades from our Basics range. The Swirlamp is made of 100% recycled plastic and comes in a package of 30 elements with a dutch manual how to put it all together. Fully assembled, the lampshade is 30 cm in size.